The Civil Service Association (CSA) says the patience of workers at the Inland Revenue Department is wearing thin. The employees continue to complain of a host of health and safety issues. 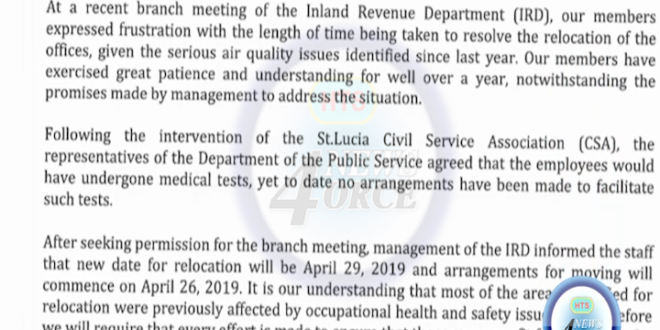 The CSA has guaranteed that the inland revenue workers will hold on until April 1st, 2019, but will not report for work thereafter, if their concerns are not addressed.